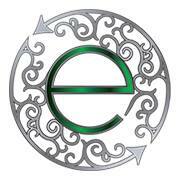 Architectural Salvage, Building Materials, New & Used Tools Eco Relics was established early in 2014 by Michael & Ann Murphy. We built a company that prides itself on keeping usable construction supplies out of landfills and saving as many architectural remnants as possible. This business is passionate about investing in the community by salvaging building materials from diverse sources and selling them to their patrons at a fraction of the retail cost. In keeping with the company’s mission of reusing and re-purposing they purchased an old freight depot to house Eco Relics. The 50,000 sq ft warehouse at 106 Stockton Street was built of brick tiles in 1927. The building required substantial renovations. Where ever possible, energy efficient and salvaged material options were used to the update the warehouse. The warehouse was also landscaped using rescued palms, trees and shrubs. Every effort has been made to maintain the building’s cool historical character.